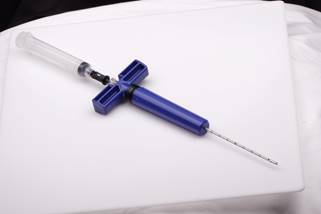 Our patent-pending Marrow Cellution TM Bone Marrow Aspiration System is a novel bone marrow access and retrieval device that incorporates features designed to minimize limitations of traditional trocar needles. Our doctors using the products tell us this device makes for a very fast and painless aspiration and transfer to injection. Ask us about how bone derived stem cells can change your practice.